I’m 8 1/2 months pregnant, but that doesn’t stop us from taking a trip to the beach after we’ve been here a couple of weeks. You can see the ocean from our house in the mountains of Costa Rica, but it appears deceptively close. What we think will be a short drive to enjoy the sun and waves, turns into a 2 hour bumpy, off-road adventure and a flat tire. Our days have been spent at home at the mountain house, preparing for the birth of our sixth child. But today we decided to take a trip to the beach today. Two bumpy hours and a flat tire later we finally arrived. 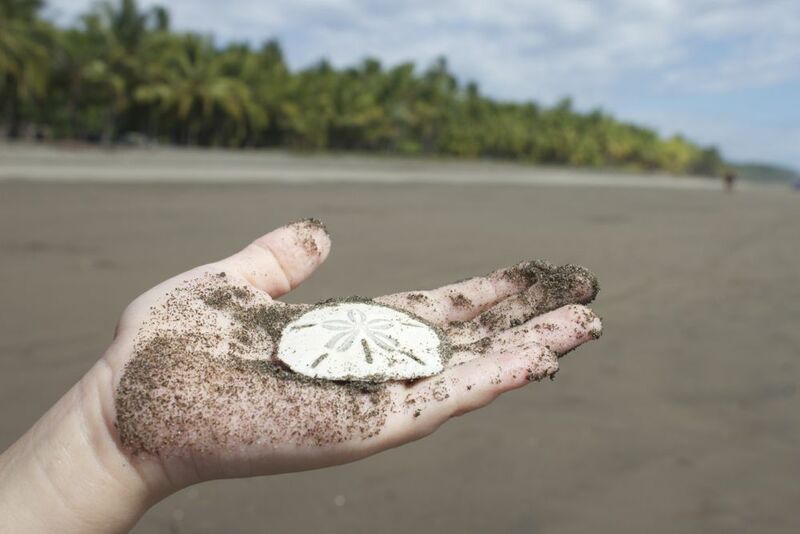 The beach was large, the sun shone high, we picked fresh coconuts from the tree and found sand dollars in the sand. Like: Costa Rica is a beautiful country. We love being back (we lived here in 2007-2008). 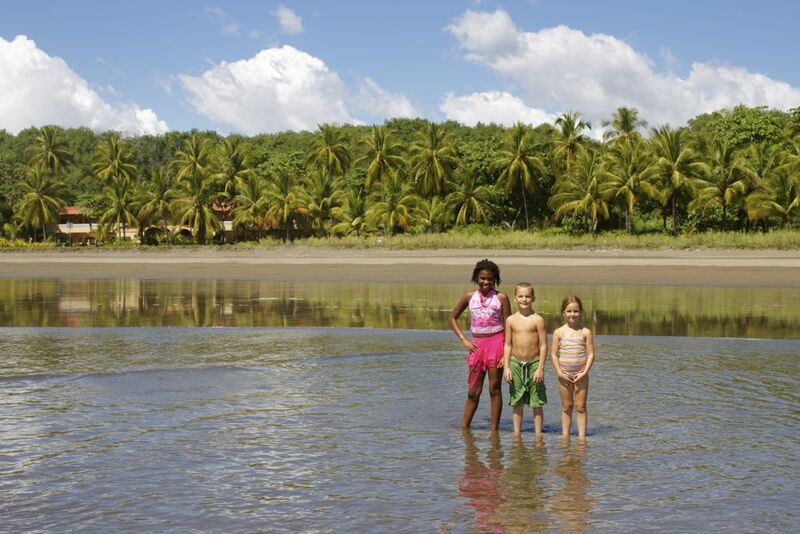 We’re excited to explore it once more — the beaches, rainforests, oceans, waterfalls and rivers. Dislike: After living in Guatemala, El Salvador and Nicaragua for the last 1 1/2 years, Costa Rica is comparatively more expensive — housing, food and activities… but I think we’ll adjust. We’re loving it here. I’ve had all my babies at home (except for my adopted daughter 😉 ) I’d like to have this one at home in Costa Rica, but we’ve been working out logistics… can the midwife make it in time? Is there a hospital nearby? Every travel experience offers joy and disappointment, pleasure and pain, beauty and the unsightly. Traveling well is learning how to embrace both… still true.